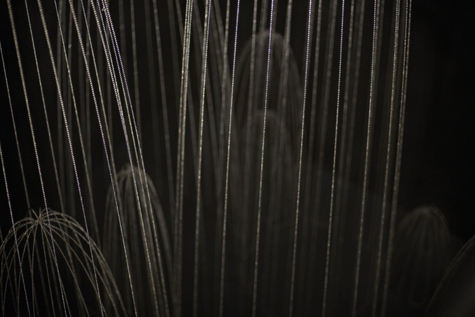 Lost Time is an installation composed of strung beads that are reflected over a shallow body of still water. 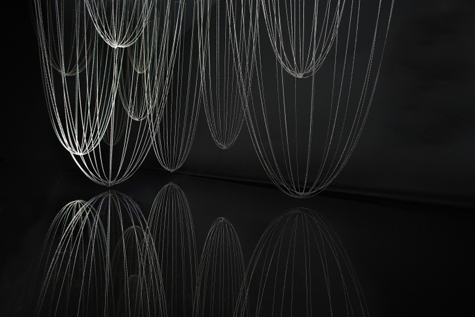 The weight of the suspended beads creates draped forms that when seen in the reflective surface of the water reveal a poised landscape of glistening structures. 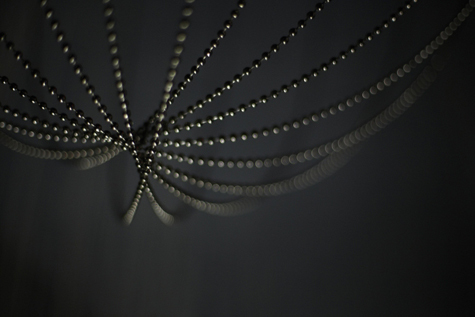 Commissioned by, and for the champagne brand Perrier-Jouët, the piece is an exercise in minimalism and perception - a large scale installation composed from humble materials - water, beads and light, sculpted to create a dramatic ephemeral vista. For the piece is in fact a work of fiction - at once vivid, it is lost the moment the water is disturbed and the surface broken. The piece was conceived in response to Perrier-Jouëts' rich Art Nouveau heritage and evocative of the immutable subterranean world of the cellars where, with time, the wine becomes Champagne. 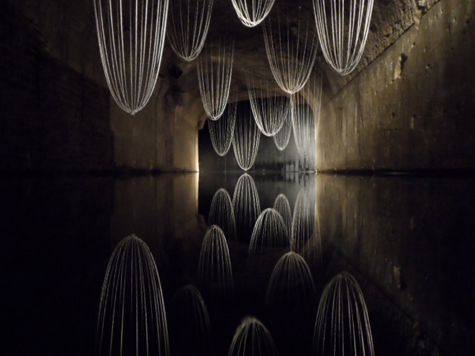 Originally created for the Design Miami art fair in 2012, in 2013 the piece was relocated as a permanent installation within the cellars at Perrier-Jouët in Epernay, France.